How do I calculate a minimum bend radius? 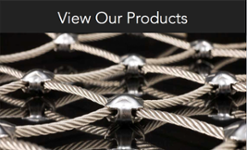 Are your stainless steel cables nonmagnetic? What is the difference between stainless steel grades 302/304 & 316? Is Military Specification cable better than commercial grade cable? To what qualifications are your cables tested? The minimum bend radius of a cable is a function of its construction. Contact us for general design parameters when working with cable. All cable will stretch under load. To learn more, contact us today. They are not totally nonmagnetic. All 300 series stainless steel materials will work harden and increase magnetism with normal bending (cold working) such as that of typical cable application. Grade 304 may exhibit quite strong response to a magnet, whereas Grades 310 and 316 will in most instances still be almost totally non-responsive. Our SS 305 cables, while still magnetic, are designed to meet the "nonmagnetic" mechanical performance criteria of specification MIL-DTL-18375. In general, different grades of stainless steel include different levels of trace alloys that are designed to provide more or less corrosion resistance. Type 316 provides an improvement in corrosion resistance over type 302/304. Military specification cable has been designed to be superior to commercial grade cable for certain performance parameters, including breaking strength after endurance cycling. 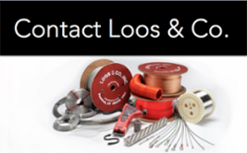 Contact us today to discuss your application and determine which cable is appropriate. 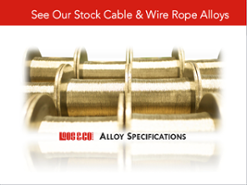 Depending upon the cable you are requesting, we manufacture and test to the applicable military and federal specifications.